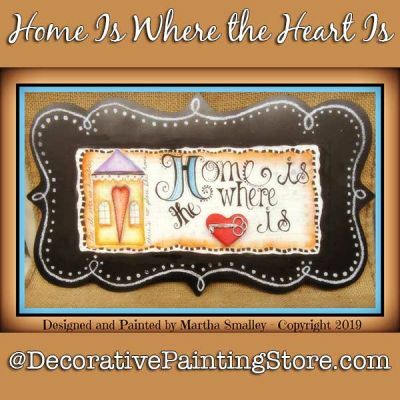 Chalkboard plaque with painted house and verse "Home Is Where the Heart Is". Mixed media background. Surface available from Hobby Lobby.